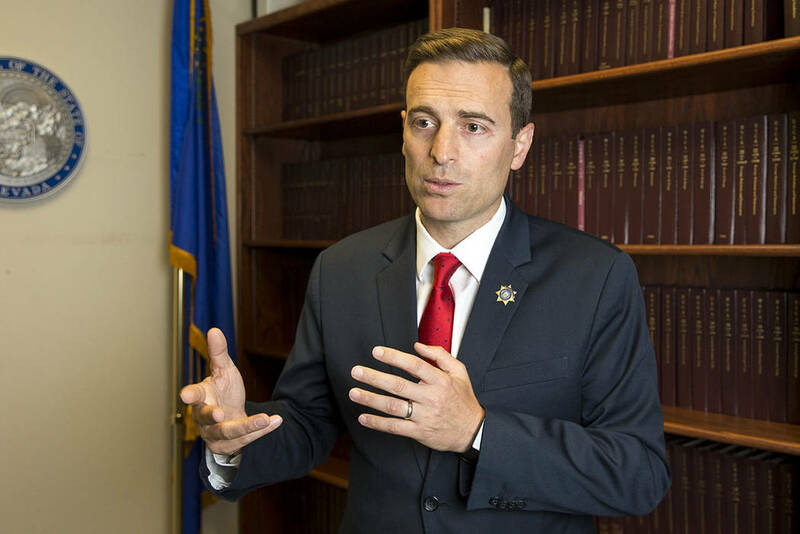 Nevada Attorney General Adam Paul Laxalt, along with a bipartisan coalition of 34 attorneys general, this week called on the Federal Communications Commission to create new rules to allow telephone service providers to block more illegal robocalls being made to unsuspecting consumers in Nevada and across the country. Richard Brian/Las Vegas Review-Journal Nevada Attorney General Adam Paul Laxalt during an interview at the Sawyer Building in Las Vegas over the summer. Thinkstock Despite the FCC’s order, robocalls continue to be a major irritant to consumers in Nevada and across the country, the state Attorney General's Office reports. The formal comment to the FCC explains that scammers using illegal robocalls have found ways to evade a call blocking order entered last year by the FCC – following legal action by various attorneys general, Laxalt’s office said in an Oct. 9 announcement. Despite the FCC’s order, robocalls continue to be a major irritant to consumers in Nevada and across the country. In 2017, the Federal Trade Commission received 4.5 million illegal robocall complaints – two and a half times more than in 2014. The Office of the Nevada Attorney General’s Bureau of Consumer Protection receives complaints each year with respect to illegal calls, including scam calls, telemarketing complaints, and robocalls. One tactic on the rise is “neighbor spoofing,” a technique that allows scammers to disguise their identities, making it difficult for law enforcement to bring them to justice. 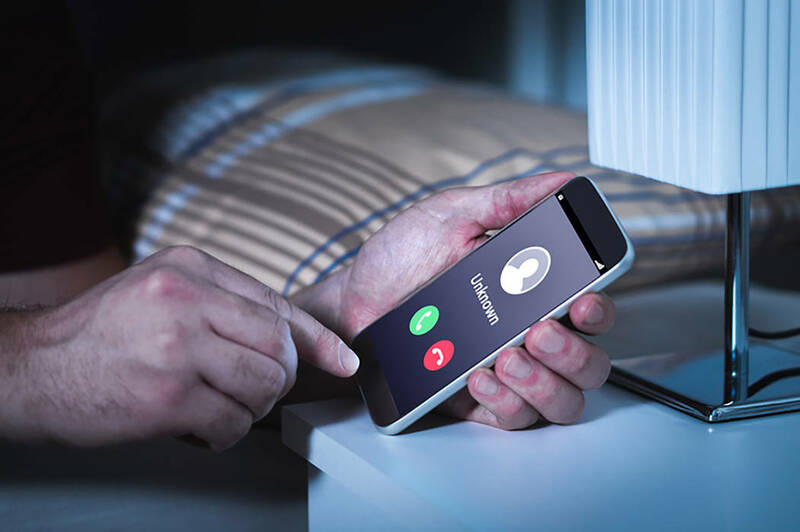 “Spoofers” can manipulate a call, regardless of where the call originates, to appear on a consumer’s caller ID as being made from a phone number that has the same local area code as the consumer. This manipulation of caller ID information increases the likelihood that the consumer will answer the call. On Nov. 17, 2017, the FCC issued the 2017 Call Blocking Order, which a group of 30 other attorneys general and AG Laxalt had encouraged the FCC to adopt. In formal comment, the attorneys general expressed support for the new initiative, which will give phone service providers the ability to authenticate legitimate calls and identify illegally spoofed calls and block them. The added authority sought by the attorneys general will allow service providers to use new technology to detect and block illegal “spoofed” calls – even those coming from what are otherwise legitimate phone numbers. Service providers will be ready to launch this new authentication method in 2019. The added authority which the attorneys general seek from the FCC is not in conflict with Nevada’s Do Not Call Law, in which consumers sign up to avoid receiving calls from legitimate vendors. The initiative for which the attorneys general seek FCC approval concerns illegal robocalls – which are made to consumers regardless of whether or not they sign up for do-not-call lists. In addition to Nevada, the attorneys general from the following states also signed the comment: Arizona, Arkansas, Connecticut, Delaware, District of Columbia, Florida, Illinois, Indiana, Iowa, Kansas, Louisiana, Maryland, Massachusetts, Minnesota, Mississippi, Montana, Nebraska, New Hampshire, New Jersey, New Mexico, New York, North Carolina, North Dakota, Oklahoma, Oregon, Pennsylvania, Rhode Island, Tennessee, Utah, Vermont, Virginia, Washington, Wisconsin and the Hawaii Office of Consumer Protection.